Strategic marketing is at the heart of everything we do at Pure. 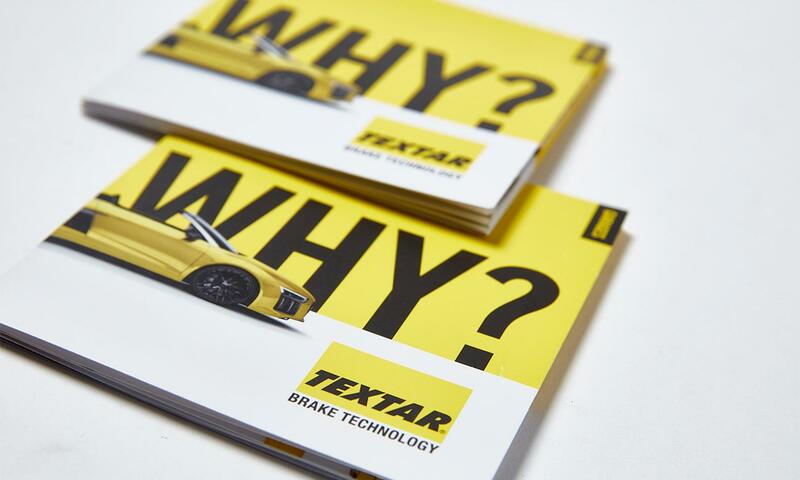 So when our long-standing client, TMD Friction, wanted to promote the benefits of its recently launched premium brake brand, Textar, we came up with a number of activities to help raise awareness of the brand. 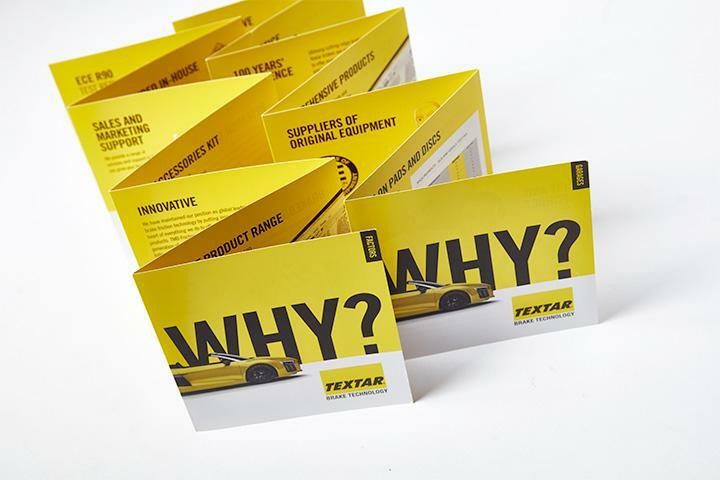 One of the ideas was to create a pocket-sized brochure, which simply and graphically demonstrated the brand’s benefits, explaining why you should choose Textar. 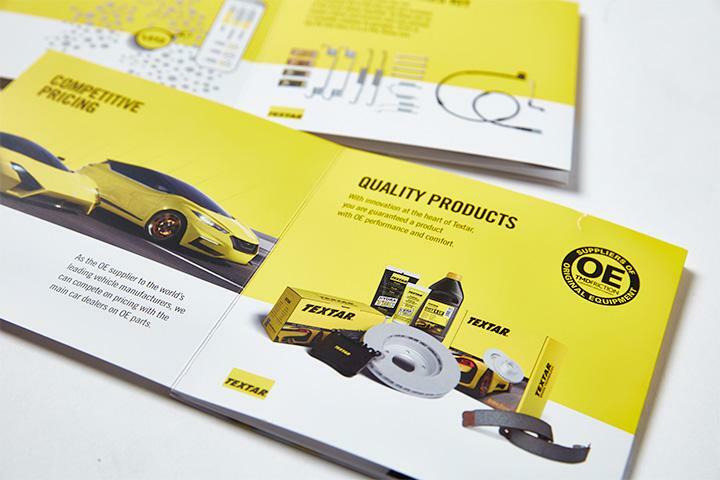 Working closely with the client, we developed key messages tailored to garages and motor factors and then designed two concertina brochures – one targeted at garages and another at factors. Both garages and factors are busy so the messaging needed to be succinct and get the benefits across in a quick and easy format. The size of the brochure meant that they could be transported easily for the sales team and not take up too much space for the target audience.